BAked or fried, these are always a great snack for T.V. sports days or when a snack is going to end up being dinner.. There are so many different ways you can dress these up to suit your taste. or until the potatoes are cooked through. towels, let cool and crumble. 3. Remove the potatoes from the oven, let cool enough to handle. the potato on the skin. 6. Return to oven and bake for 5-10 minutes or until crispy. 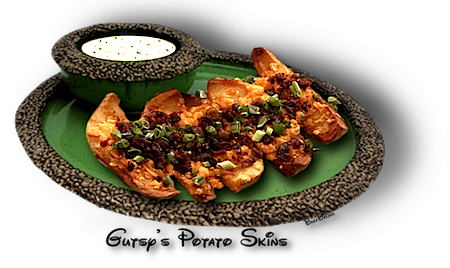 with green onions and/or jalapeños and serve with your favorite Ranch Dressing or sour cream.